All Drives & Patios Ltd.
All Drives & Patios Ltd can add value and beauty to your property. While driveways are more of a necessity, patios are more of a commodity for entertaining and outdoor living. 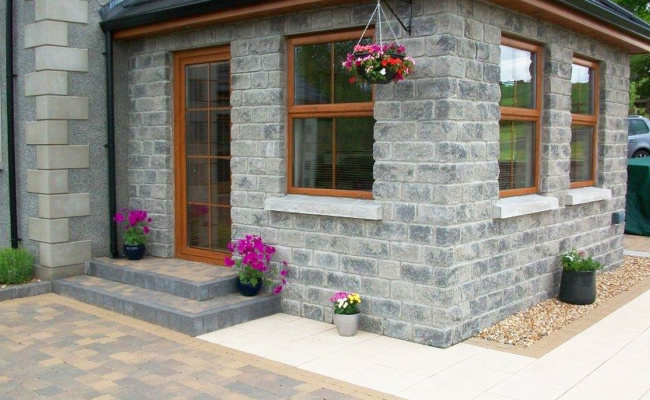 A quality patio will add value to your home and leave your neighbours green with envy. Patios can be complemented by new fencing, decking, planting schemes, landscaping, paths and gravelling, all of which we can provide within our services. 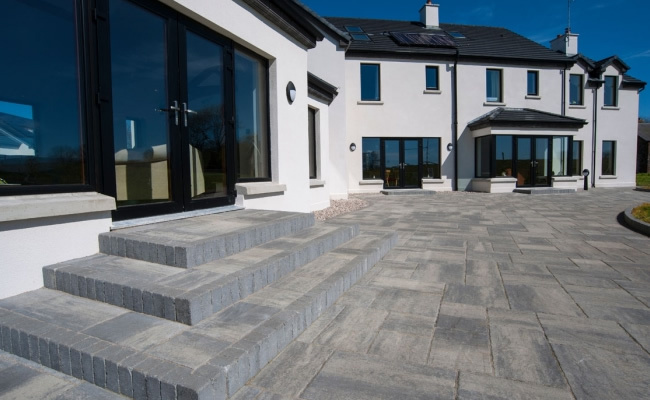 For all of our patios we use tried and tested materials from trusted companies such as Thomas Armstrong, Brett, Marshalls, Bradstone and Lakeland. We are happy to attend your property to carry out a survey and provide free estimates for all work recommended. The appearance and quality of exterior paving can give walkways and entertaining areas a range of styles, as well as improving bland lawn-space and ending muddy paths. 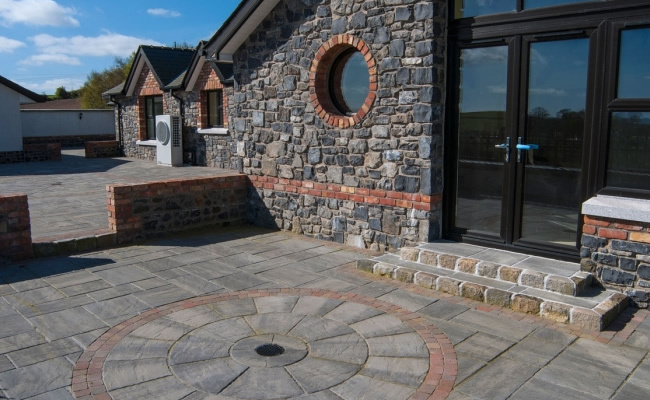 Patios and paving are critical to the first impression any property makes whether the effect is quiet and discreet, classical, natural or artistic. 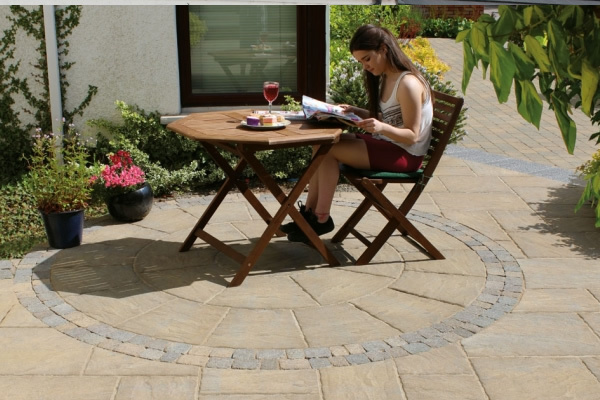 All Drives & Patios Ltd have a range of the stonework and accessories for any job. 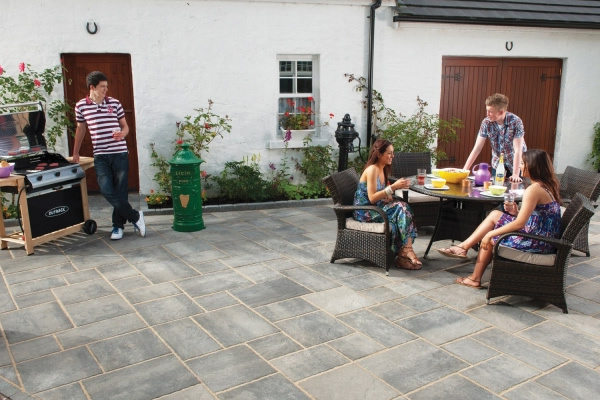 Durable, high-quality patios and paving for all purposes, to suit all budgets. Did you know the question most frequently asked is "how much will it cost?" The majority of installation costs are usually ground preparation and labour. 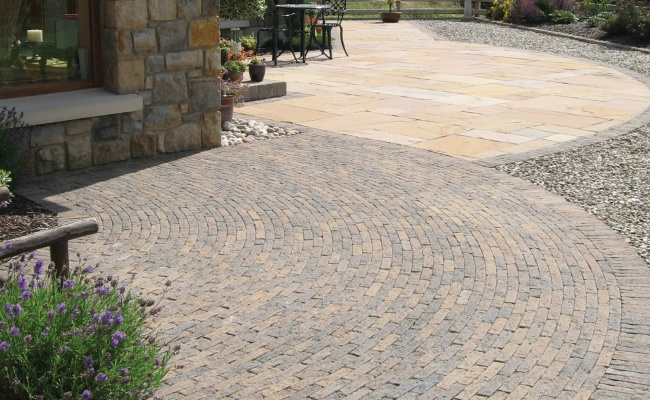 Opting for a premium quality paving won't significantly increase the overall cost, so choose the best you can afford.